The Washington Nationals have traded reliever Drew Storen to the Toronto Blue Jays in exchange for outfielder Ben Revere. The team issued a press release late Friday. According to multiple reports, the Washington Nationals signed utility infielder Stephen Drew to a one-year, $3 million deal, with $1.25 million available in incentives. Jon Heyman of CBSSports.com had it first. Drew, a left-handed hitter, has experience at second, short and third and is a better fielder than recently signed second baseman Daniel Murphy. According to multiple reports, the Washington Nationals and free agent 2B/3B Daniel Murphy, formerly of the New York Mets, agreed to a three-year deal, terms undisclosed. The deal is pending a physical, according to the Washington Post. Murphy, 31 on opening day, hit .281 with 14 home runs, 73 RIs and a .770 OPS in 130 games in 2015, and hit seven homers with 14 RIs in 14 playoff games for the Mets. He’s a lifetime .288/.331/.424 hitter. Murphy is the left-handed bat the Nats have been trying to acquire all winter. There are two downsides, though. One — Murphy is simply one of the worst fielding second basemen in the league, regardless of what metric one might want to use. He’s only marginally better at third base, but he doesn’t have the arm to play the position. Murphy does have some experience playing first base, and with Ryan Zimmerman’s health issues, Murphy’s flexibility might be his best defensive asset. Two — The Nats have to forfeit their first round pick, No. 18 overall, in compensation for signing Murphy. The Nats will get compensatory picks, however, for losing Ian Desmond and Jordan Zimmermann, but those picks come following the completion of the first round. The Nats have been looking for infield help since the end of the season, when it was clear that Desmond would test free agency. They were linked to Ben Zobrist and Brandon Phillips, but Zobrist singed elsewhere and Phillips did not waive his 10/5 rights to accept a trade to D.C. I think the Nats would still like to add a left-handed hitting outfielder that could split time with Taylor and provide insurance against Werth getting hurt again. There’s still plenty of time between now and spring training for Mike Rizzo to address that, but at least it appears he got the infield help he’s been looking for all winter. According to multiple sources, the Washington Nationals have a trade in place with the Cincinnati Reds to acquire right-handed hitting 2B Brandon Phillips, in exchange for a package of minor leaguers, at least according to ESPN’s Jim Bowden. Washington Nationals moving to phase two of offseason plan? Consider Phase Two of Mike Rizzo’s offseason plan for the Washington Nationals underway. Obviously, repairing an abysmal bullpen was Phase One, and the club’s general manager has made several moves to upgrade that staff. By adding Trevor Gott, Shawn Kelley and Yusmiero Petit, the bullpen looks to be in better shape. In 2015, the Washington Nationals’ most glaring weakness was their bullpen. To put it bluntly, former manager Matt Williams simply couldn’t rely on it, but he was often put in a bind when the starting pitcher faltered. No matter the situation, every game was in doubt when it was put on the arm of a relief pitcher. 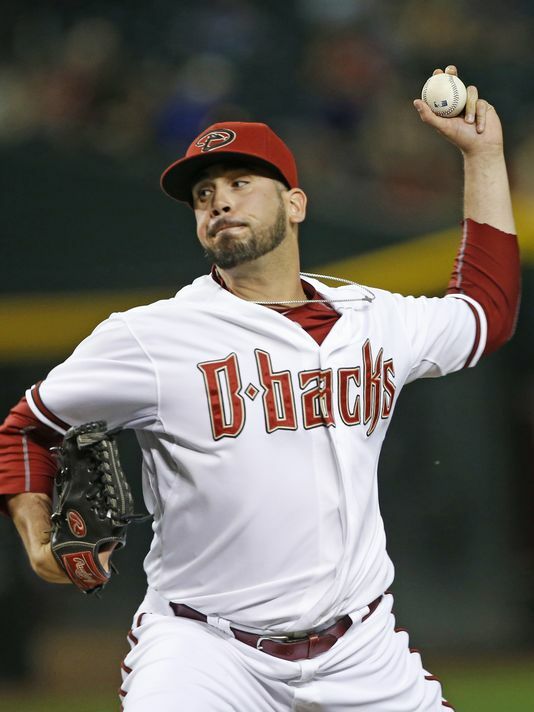 The Washington Nationals made their first significant move of the offseason, picking up left-handed reliever Oliver Perez. The 34-year-old veteran signed a two-year, $7 million contract to help stabilize the Nats much-maligned bullpen. This is Perez’ second stint in the organization. He played with AA-Harrisburg while trying to battle arm issues, never reaching the major league level with the Nats. According to multiple sources, free agent RHP Jordan Zimmermann has agreed to a five-year, $110 million contract with the Detroit Tigers.